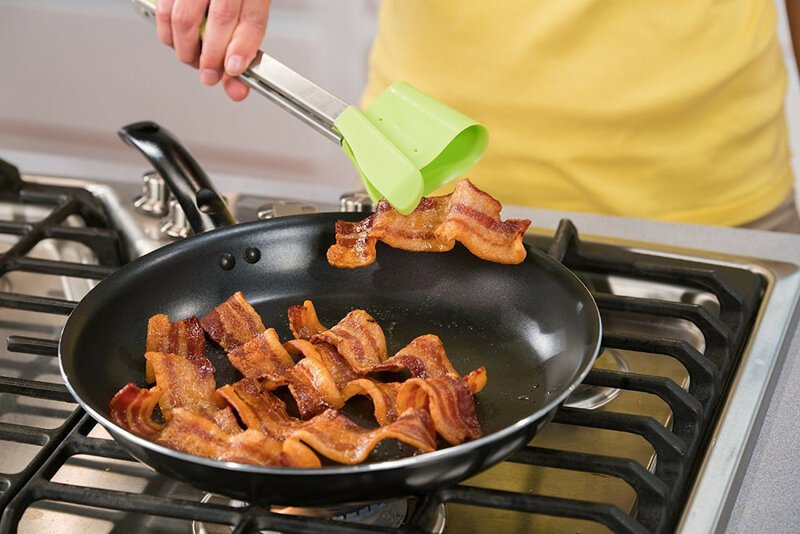 It's the new 2 in 1 spatula and tongs. 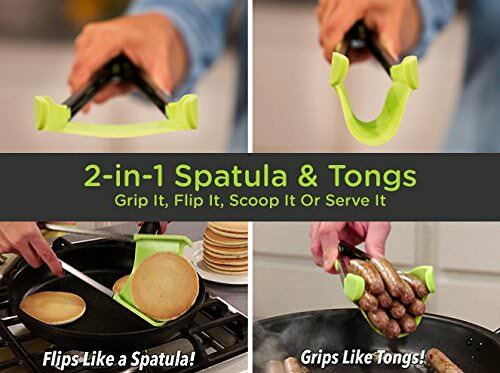 It Combines the flip of the spatula and the squeeze of a tong. 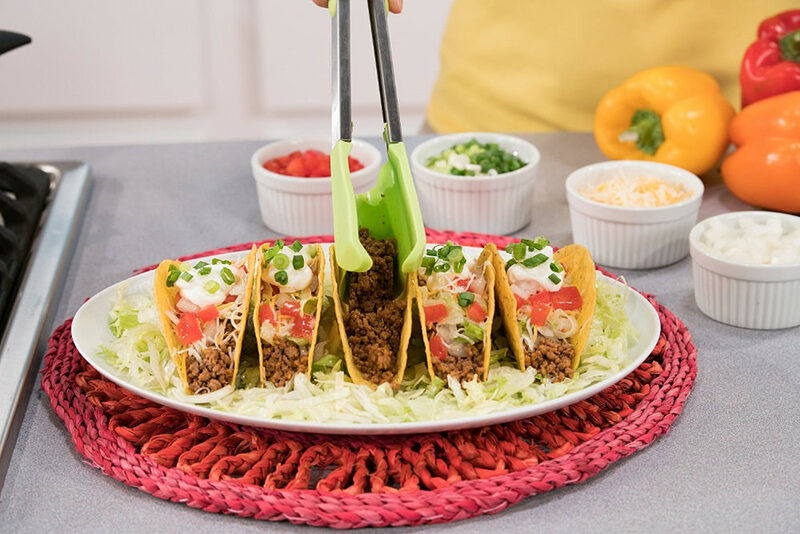 You can Flip, Cradle, grab or scoop with one utensil. 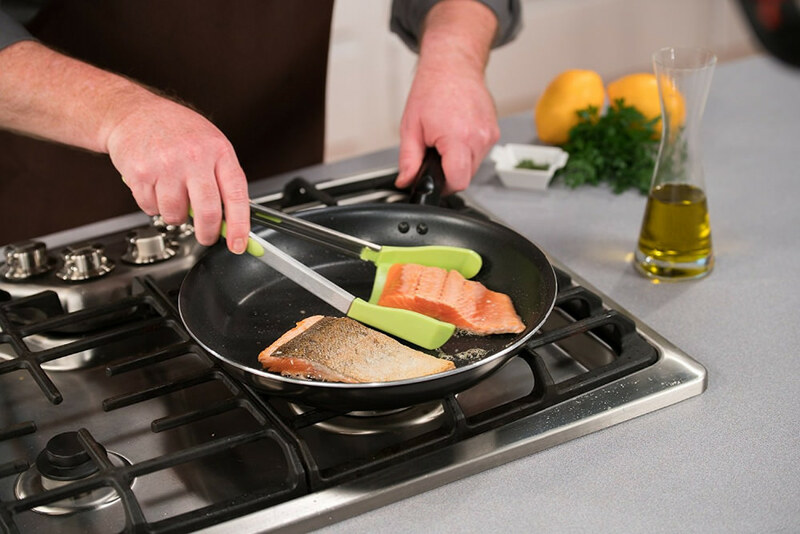 It make cooking and serving your favorite food easier. 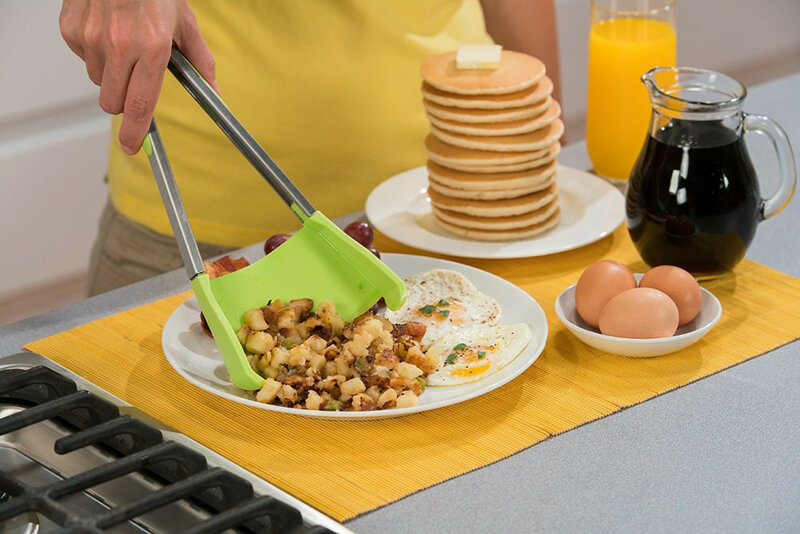 This amazing kitchen helper is great for breakfast, lunch and dinner. 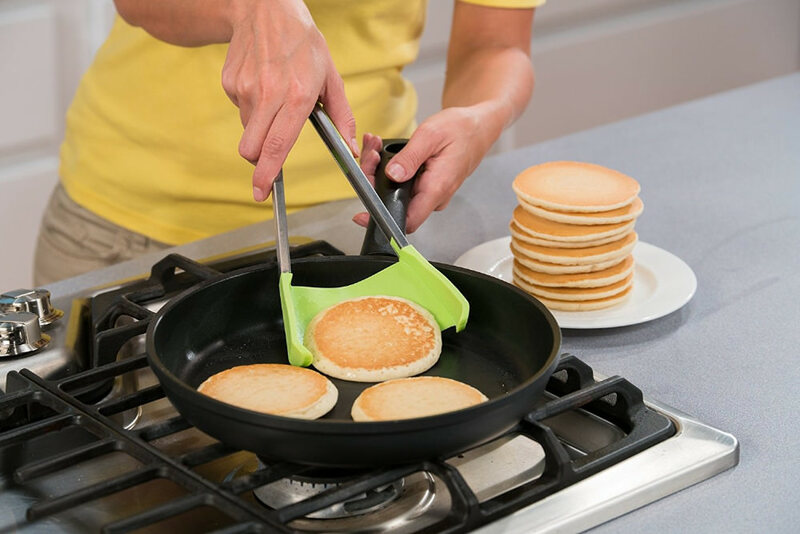 You can flip pancakes then scoop and sever eggs, scoop and fill tacos, flip delicate fish and grab and serve asparagus. It actually fits comfortably in your hands. it has a stainless steel frame with silicone and a non sticky and heat resistant cradle.